Earlier in the year the invading force of Fromagere routed the Weinpfalz defenders in a short sharp encounter on the banks of the river Wein. However a few weeks of heavy rain turned the low lying meadows around the river Wein into a quagmire. Wagons and guns sunk up the their axles. The officers found nice billets in the homes of local gentry, cavalrymen in farms and the poor infantry camped under inadequate canvas. This has allowed the shaken Weinpfalz forces to regroup and Count Olaf has decided to march his reinvigorated men on the enemy still ensconced on the Weinpfalz side of the river. 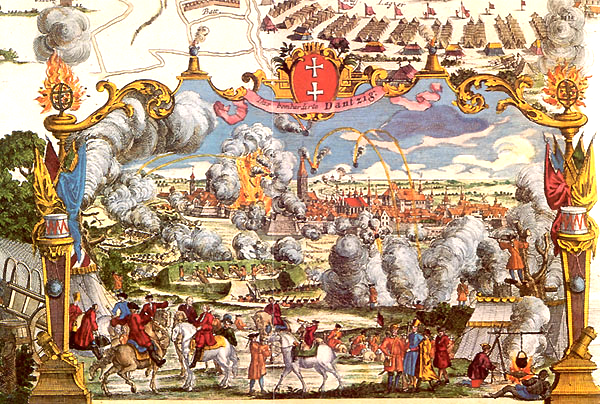 At the same moment the army of Fromagere is called "to arms" as the Duke of Fromagere arrives in his golden carriage to lead his troops to victory in battle and claim the hand of Countess Wilhelmina and the land of Weinpfalz.